Cape Town: As the ruling African National Congress (ANC) signalled its determination to eject a defiant President Jacob Zuma from office by getting ready to hold a vote of no-confidence against him on Thursday, the Gupta family, a politically-connected business dynasty that moved to South Africa from India, finds itself at the centre of many of the scandals that have dogged the President. South African police’s elite Hawks unit on Wednesday raided the luxury Johannesburg house of the Gupta brothers, who are accused of playing a central role in alleged corruption under scandal-tainted President Zuma. Local media reported that Ajay Gupta, the eldest of the siblings, and one or two of the family’s associates, were officially under arrest. They were scheduled to appear before the commercial crimes court in Bloemfontein on Wednesday evening or Thursday morning. 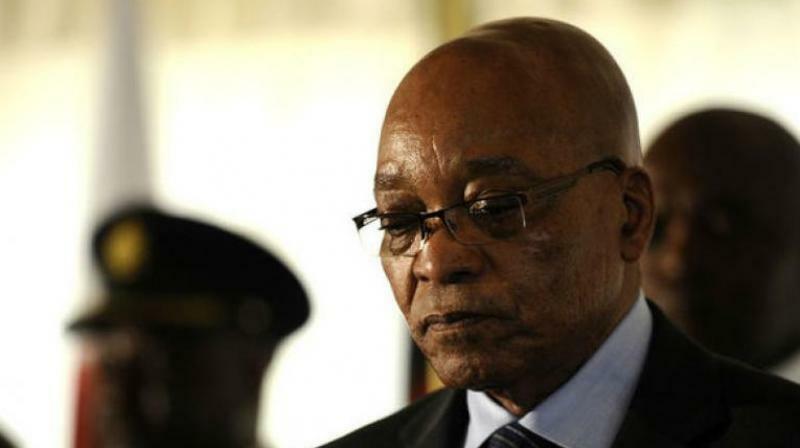 The raid marked a dramatic escalation in the pressure on Mr Zuma. Hawks spokesman Hangwani Mulaudzi said the raid was part of an investigation into influence-peddling allegations that are also the focus of a judicial inquiry into wider corruption involving the Guptas.